The Las Vegas Strip may be slanted toward visitors over 21, but parents will still find plenty of things to do with the kids--both on and off the Strip. 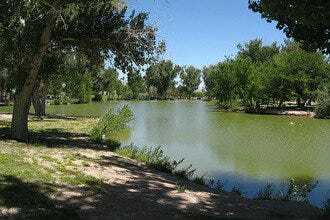 Away from the Strip, parents and kids can explore hiking trails, museums and water parks. On the Strip, you’ll find things like animal attractions, an observation wheel and even a small theme park. Families visiting Las Vegas during the summer may want to make a trip to one of the city's water parks. 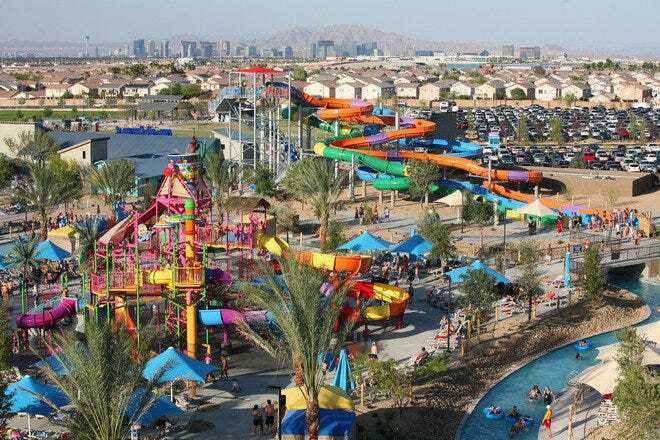 Wet'n'Wild Las Vegas has an assortment of attractions sure to entertain every member of the family, from scream-inducing water slides to a go-with-the-flow endless river. 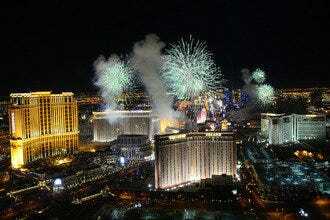 Las Vegas also offers a host of hiking and nature watching activities, all a short drive from the Strip. Grab a picnic lunch and go hiking in Red Rock Canyon to see rare features like petroglyphs and hidden springs. Take plenty of water and time your outside activities according to the season–in warmer months, go in the morning for the coolest temperatures. If you’re staying on the Strip, going out earlier in the day helps cut down on the more adult elements you may encounter while out sight-seeing. Take a morning ride on the High Roller, for instance, so everyone can enjoy the panoramic view of the Las Vegas before you wander through the Linq’s Promenade for lunch. 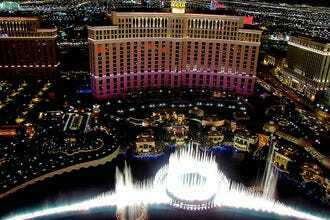 Read on for more suggestions on the best things to do with kids in Las Vegas. 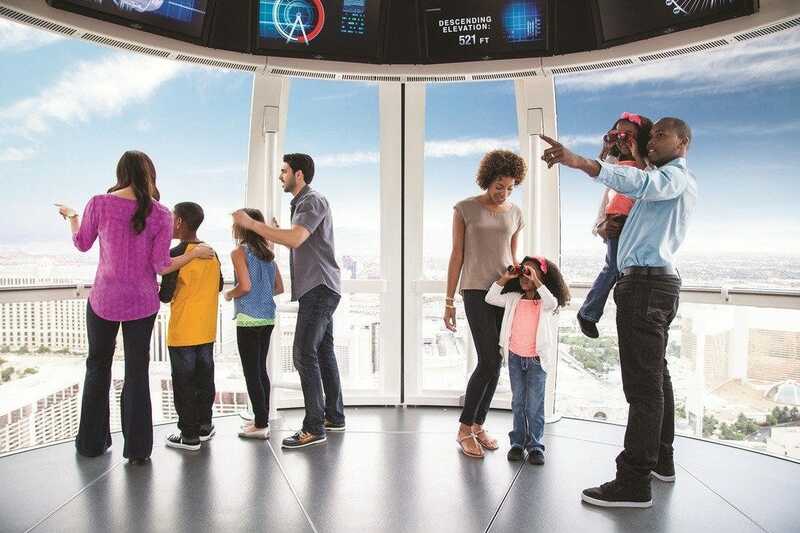 The world's tallest observation wheel, the 550-foot-tall High Roller is a great place to take the kids. Riders of all ages are sure to be in awe of the jaw-dropping views of the Strip and city down below as they ride in one of the attraction's sleek pods. Beverages are available for sale before you board, and the pods are air conditioned so everyone will stay comfortable for the 30-minute ride, even during summer. Youth pricing is available for kids aged ages 13-17, and children ages 12 and younger are always free with a paid adult. 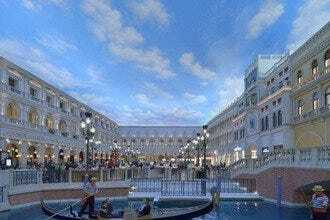 The area surrounding the High Roller is also worth exploring, since it's filled with shops and restaurants. Before you get to "fly" over Fremont Street on the SlotZilla zip line, you'll probably get to see several groups of people zoom out of the giant slot machine while you're waiting. The anticipation is part of the fun. If you're an adrenaline junkie, the moments before take-off will be a thrill as the workers check all the straps and prepare to send you speeding down the zip line. At speeds of up to 40 m.p.h., the ride may seem to go all to quickly--chances are good you'll want to do it again as soon as possible. Riders who choose the highest zip line (the "zoom line") fly Superman-style, while those who pick the lower line are seated. Weight minimums and maximums apply. 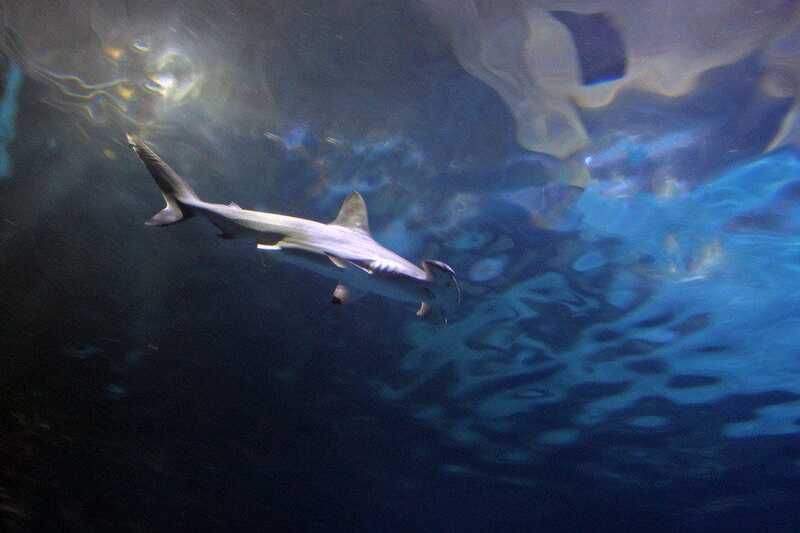 A big hit with adults and kids alike, Shark Reef Aquarium at Mandalay Bay is the only animal care facility in the State of Nevada to be accredited by the Association of Zoos and Aquariums. Families will not only see 15 different species of sharks at the predator-filled aquarium, but also stingrays, rare golden crocodiles, piranha, jellyfish, Komodo dragons and endangered sea turtles--more than 2,000 animals in all. Fourteen exhibits are devoted to the aquatic animals, with the largest exhibit being the 1.3-million-gallon shipwreck where visitors experience an almost 360-degree view teeming with sharks and fish as they walk through an acrylic tunnel. For those who want to get closer to some of the aquarium's inhabitants, interactive programs are available where guests can feed several of the aquarium's inhabitants for an additional fee. 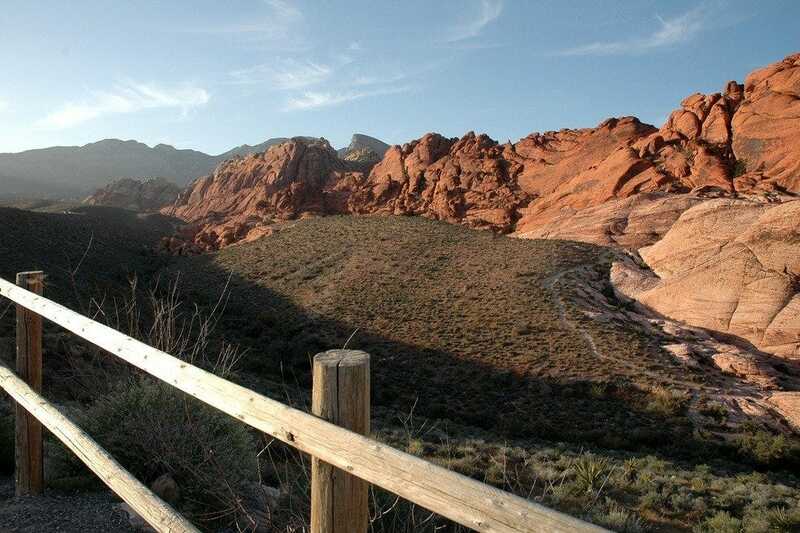 Red Rock Canyon National Conservation Area was once far removed from Las Vegas, but now sits just outside the western edge of the city. 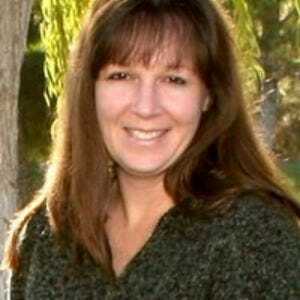 The area is full of spectacular natural beauty, rugged red rock formations, desert vegetation and open vistas. A stop at the visitor center is a must for those who haven't been to the area. This portion of the Mojave Desert is home to a tremendous number of rare plant and animal species, partly because of the number of springs along the base of the mountains. While many folks opt to bike, hike or rock-climb, others make the most of the 13-mile scenic loop, which lets you drive a picturesque circuit and offers stop-offs for photography. Look out for wildlife, including burros, one of the most commonly sighted animals. Picnic tables can be found in the Willow Springs area. Nevada has a history rich with the stories of trains, and the Nevada State Railroad Museum is dedicated to preserving that heritage. In Southern Nevada, the Railroad Museum is just outside of Boulder City. Visitors can explore the grounds and the static displays, but the real fun is taking a ride on one of the historic trains. Trains run on the weekends from 10 a.m. every hour and half until the last train leaves at 2:30 p.m. The ride lasts 40 minutes and riders can sit in the climate controlled Pullman coaches or in open air seating. During the holidays, Santa and Mrs. Claus are also on hand to ride along. 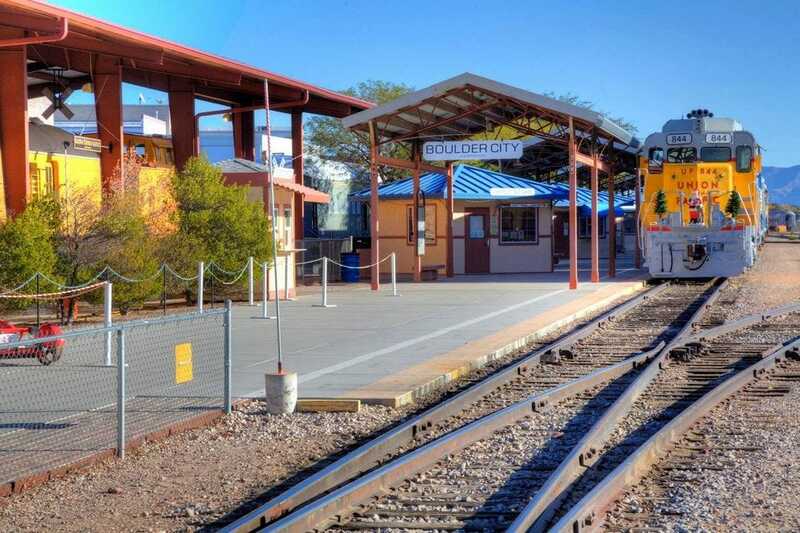 A stop at the Railroad Museum in Boulder City is a great addition to trip out to see Hoover Dam, Lake Mead, or to explore the historic district in downtown Boulder City. Located minutes from the Strip, this award-winning 180-acre family destination is dedicated to exploring green-living, desert life and Las Vegas' vibrant history through botanical gardens, interactive science and nature exhibits, animal shows and trails. 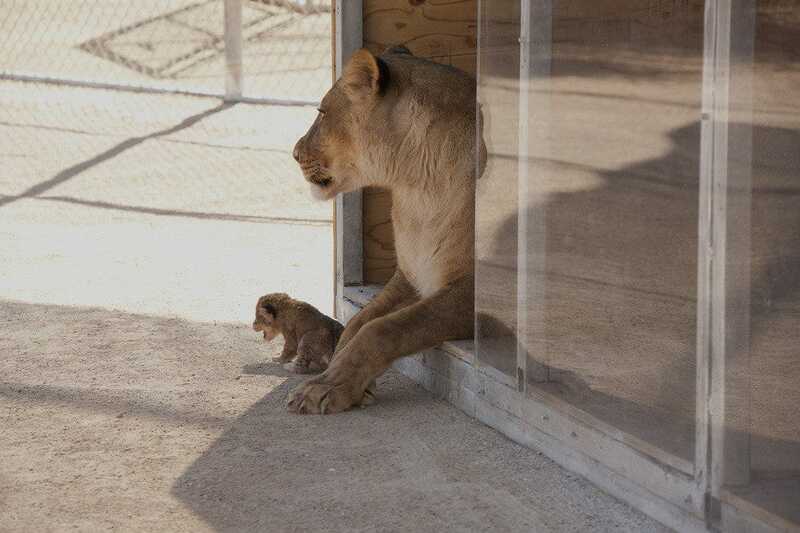 Families can interact with hands-on exhibits at the Origen Museum to learn more about the Las Vegas Valley, or venture outside and observe native wildlife to see what kinds of animals live in the harsh environment of the Mojave Desert. Be sure to try out the simulated flash flood exhibit, which recreates a common phenomenon in this region of the United States, and don't miss the Butterfly Habitat in the Botanical Gardens, on display from early March through the end of May, weather permitting. 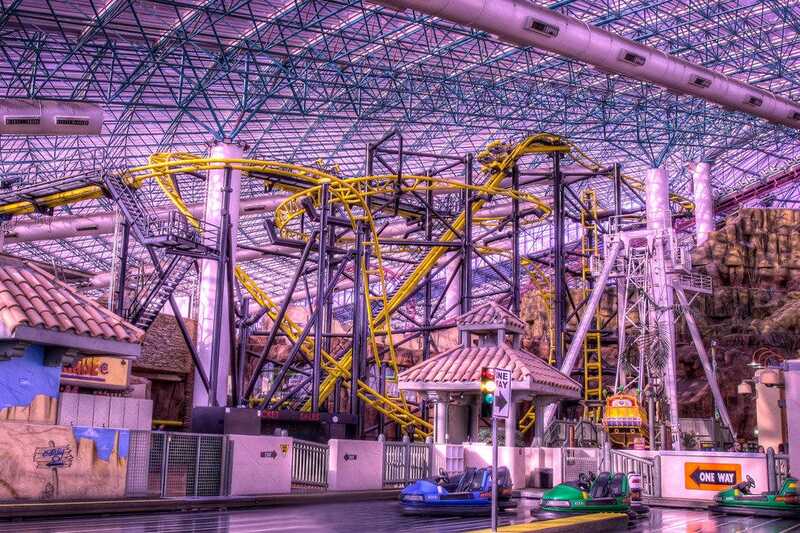 One of America's largest indoor theme parks, The Adventuredome at Circus Circus is the perfect Las Vegas attraction for families--or those who are just kids at heart. Boasting 25 rides and attractions, including a mini golf course and laser tag, the park has attractions for kids of all ages. One of Adventuredome's rides, El Loco, is only the second roller coaster of its kind in the U.S., offering riders a 72-second, adrenaline-pumping ride complete with a 90-foot ascent followed by a greater-than-straight-down diving drop that produces a negative 1.5 vertical G. Other hair-raising rides include Chaos, Inverter and The Adventuredome's first roller coaster, Canyon Blaster, which reaches speeds of up to 55 miles per hour. The all-day pass is the best deal if you're interested in riding several of the premium rides, although you need to be 48 inches or taller for the regular all-day pass. Located in the Donald W. Reynolds Discovery Center in a three-story, 58,000-square-foot building adjacent to The Smith Center for the Performing Arts, this interactive children's museum features more than 26,000 square feet of exhibit space, including a 5,000-square-foot traveling exhibition gallery. Offering exhibits in science and nature, arts and culture and early childhood development, guests of all ages can watch daily demonstrations and participate in various programs and activities. 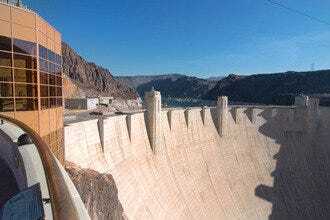 One exhibit that's not to be missed is "Water World," where, among other hands-on activities, visitors can interact with models of Hoover Dam, Lake Mead and the Hoover Dam bypass bridge. The museum even features a desert-themed exhibition specifically designed for its youngest visitors: "Toddler Town."